Great canal front location with dock on dead end street in South Bethany Harbor. In addition to the three season room overlooking the canal from the second floor there is a screened sitting area on the ground floor level with a shower just outside. 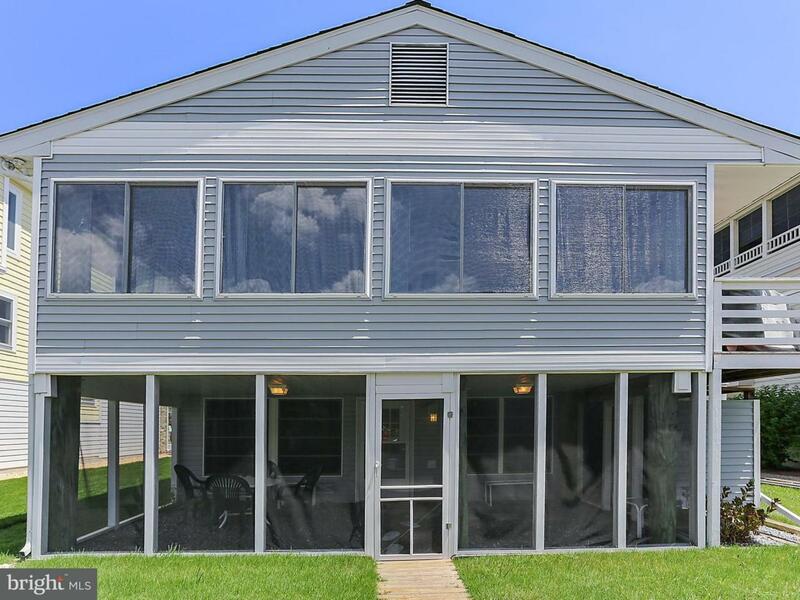 This 5 bedroom home features 2 1/2 baths with plenty of room for the entire family. A wood burning fireplace is the central feature in the living room just off the dining room and kitchen.A 2 car garage has plenty of storage with 2 large closets and more than enough room for all of your beach toys. Listing courtesy of Tansey Warner.